It is time to seriously rethink how the NHS, 70 this year, is funded. The latest news that the service in England hit an all-time low (77.3 per cent) in treating A&E patients within the prescribed 4-hour period comes after NHS Scotland disclosed it too was only marginally better (78 per cent) in the last week of 2017 though much better in December as a whole. The political response is, typically, that more money – from general taxation – should be injected into the service. Unless it’s Theresa May who blandly asserts against the evidence (apart from this) that the NHS is “the best service in the world.” But, as some experts have said, we in Scotland spend 13.6 per cent more per capita on the NHS than in England and yet still experience problems. So, money alone is not the only answer. But it helps – and where it comes from is important. 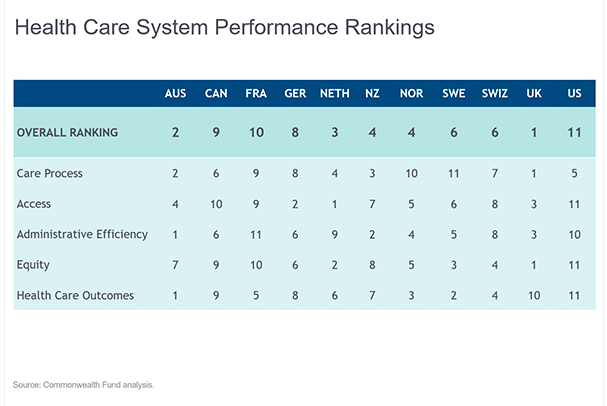 A someone who lives several months of the year in France, still rated the best health service in the world by the WHO, and who has lived in Belgium and Germany, I think it’s time for us to examine what other Europeans do well and assess whether this can be translated here. We pay lip service to being European but it’s appalling what little knowledge there is of how other EU systems are funded, what their outcomes are, what their problems are. Think tanks such as the King’s Fund and (on the right) Civitas have done so but the political class, including in Scotland, is ostrich-headed. The Fund’s commission chaired by economist Kate Barker urged more than three years ago that the health and social care systems in England (as now in Scotland) should be merged but nothing has been done (other than hand Jeremy Hunt another moniker to his title). It’s not as if the Europeans have found the perfect answer: they’re still tweaking systems that rely predominantly on social health insurance. Germany’s social democrats (SPD) have made a universal system, regardless of income, a key part of the renewed ‘grand coalition’ talks with Angela Merkel – removing private insurance. President Macron has just introduced steps to remove some out-of-pocket payments to GPs for consultations. But, certainly measured by outcomes, their systems outperform our own. Continental European systems tend to be hybrid. France, for instance, spends 11 per cent of GDP on health via a mixture of compulsory levies on employees/employers/the self-employed, some central government funding and “voluntary” contributions (2.3 per cent of GDP versus 2 per cent in the UK) that are capped. Charges, if any, are recovered via not-for-profit ‘mutuelles’ used by around 90 per cent of the population. The French system has come under the same pressures as the UK of an ageing population and fiscal austerity but it has ten percent more doctors, more than twice as many hospital beds and 40 per cent more nurses/midwives. Medicines are cheaper than here – and many pharmacists are trained to diagnose illness and prescribe treatments. The German system (Bismarckian in origin) is based on compulsory contributions levied at 14.6 per cent of gross income (up to €52,000 a year) that are most often paid into a “sickness fund” (Krankenkasse) that varies according to profession or one’s geographical location. Co-payments such as a basic cost per overnight stay in hospital are capped at two percent of household income or below under a means-tested system. The King’s Fund says: “Social insurance funds can be kept separate from other government-mandated taxes and charges, so like hypothecated tax models (see box on hypothecated taxes), they potentially give more transparency and provide increased certainty about funding levels for health in the medium term.” Disadvantages are/may be excessive taxes on wages and/or a loss of (corporate) competitiveness. There is also the argument that any reliance on co-payment acts as a deterrent to seeking care for the poor who may be more prone to illness. There is general consensus in Scotland that healthcare cannot continue to be provided in the same way but, as we have reported previously, more progress needs to be made if transformational change is to happen. Previous approaches such as providing more funding to increase activity or focusing on specific parts of the system are no longer sufficient. Attention needs to focus on overcoming a number of barriers to change. Managing the health budget on an annual basis is hindering development of longer-term plans for moving more care out of hospital. It is still not clear how moving more care into the community will be funded and what future funding levels will be required. A clear long-term financial framework is a critical part of setting out how change will happen and when. There is at least the germs of a debate on raising hypothecated taxes to fund the NHS. But, while the talk in general is of shifting more healthcare (and funding) into the community and of the problems in finding extra resources through general taxation, there is no discussion of alternative systems such as on mainland Europe. But this is the sad truth about a would-be full European state: its references/comparisons on health issues (as at the opening First Minister’s Question Time of 2018) are always to/with England. In some cases, it borders on an obsession. At the very least, we should rather investigate how EU member states perform and what we can learn from them. 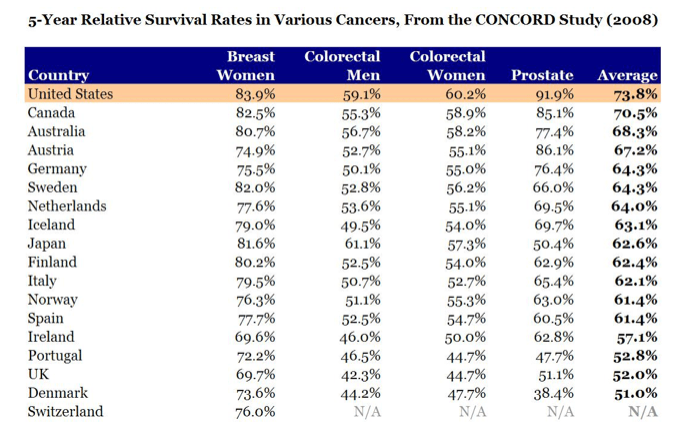 Can anyone out there explain why the USA ranks bottom of the 11 countries surveyed overall, and for “health outcomes”, when its five year cancer survival rates (as of 2008: there must be more recent data) are the best of the 11?